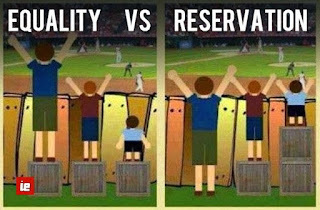 Reservation in a process of reserving a certain percentage of seats (vacancies) in government institutions for members of backward and under-represented communities (defined primarily by caste and tribe). Reservation is a form of quota-based affirmative action and is governed by constitutional laws, statutory laws, and local rules and regulations. Adhering to Article 340 of the Constitution of India, the First Backward Classes Commission was set up by a presidential order on 29 January 1953 under the chairmanship of Kaka Kalelkar. The commission was named as Kalelkar Commission. However, this report was rejected by the Central government on the ground that it had not applied any objective tests for identifying the Backward Class. Thus there was a need of second backward classes Commission. Then, Mandal Commission was established in India in 1979 by the Janata Party government under PM Morarji Desai with a mandate to "identify the socially or educationally backward”. It was headed by Indian parliamentarian B.P. Mandal. 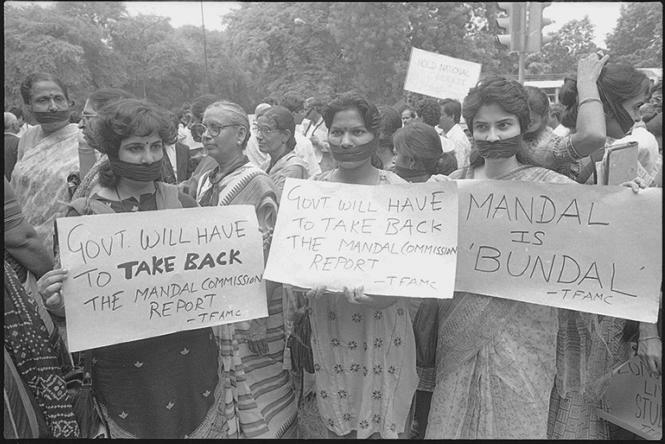 In 1980, the commission's report affirmed the affirmative action practice under Indian law whereby members of lower castes (known as Other Backward Classes (OBC), Scheduled Castes (SC) and Scheduled Tribes (ST)) were given exclusive access to a certain portion of government jobs and slots in public universities, and recommended changes to these quotas, increasing them by 27% to 50%. This report was highly criticized and resulted in massive protests all over the country with incidents of self-immolations also. Article 15(4) and 16(4) of the Constitution enabled both the state and Central Governments to reserve seats in public services for the members of the SC and ST, thereby, enshrining impartiality of opportunity in matters of civic service. Article 16(4 A) states that: “Nothing in this article shall prevent the State from making any provision for reservation in matters of promotion, with consequential seniority, to any class] or classes of posts in the services under the State in favour of the Scheduled Castes and the Scheduled Tribes which, in the opinion of the State, are not adequately represented in the services under the State. (Constitutional 77th Amendment, - Act, 1995). Article 16 (4 B) states that: “Nothing in this article shall prevent the State from considering any unfilled vacancies of a year which are reserved for being filled up in that year in accordance with any provision for reservation made under clause (4) or clause (4A) as a separate class of vacancies to be filled up in any succeeding year or years and such class of vacancies shall not be considered together with the vacancies of the year in which they are being filled up for determining the ceiling of fifty percent reservation on total number of vacancies of that year” (Constitutional 81st Amendment, - Act, 2000). State of Madras v. Champakam Dorairajan (AIR 1951 SC 226) - Court pronounced that caste based reservations as per Communal Award violates Article 15(1). In the cases of General Manager, S. Rly. v. Rangachari, AIR 1962 SC 36; State of Punjab v. Hiralal, 1970(3) SCC 567; Akhil Bharatiya Soshit Karamchari Sangh (Railway) v. Union of India; (1981) 1 SCC 246 it was held that Reservation of appointments or posts under Article 16(4) included promotions. Indira Sawhney & Ors. v. Union of India. AIR 1993 SC 477 - Supreme Court upheld implementation of separate reservation for other backward classes in central government jobs. 1) It is going to kill meritocracy, and hence will destroy India's growing image as a technology hub. 2) It is dividing India into caste lines which our freedom fighters and social reformers fought so hard to eliminate. 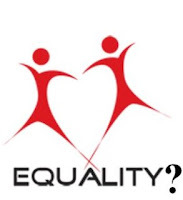 3) It is against the fundamental right to equality as safeguarded by the Constitution of India. 4) The benefits of reservation have been denied to really deserving people by the rich and powerful in their own classes. 5) Reservation is just a populist measure used by politicians for electoral gains. 6) As a consequence of legislating to provide reservations on the basis of religion, religious minorities in all government education institutions will be introduced which is contrary to the ideas of secularism, and is a form of anti-discrimination on the basis of religion. 7) Most of the times, only economically sound people from the so-called lower castes will make use of most of the reserved seats, thus counteracting the spirit of reservations. 8) The quality of the elite institutes may go down, because merit is severely being compromised by reserving seats for certain caste-based communities. 9) The reservation policy is creating huge unrest in the society. Providing quotas on the basis of caste and not on the basis of merit will deter the determination of many educated and deserving students of India. 1) Reservation allows the backward classes a chance of improving their lives and status in society and getting meaningful employment. 2) Backward classes also get representation in various aspects of society and decision making, something that has been denied to them for a long time. Reservation must be given to the needy people. The rich persons in SC/ST community must not enjoy the fruits of reservation. The benefit of reservation must be given for first 2 children. Financially poor persons must be given priority. Now day’s politicians are playing a major role in reservation policy. The reservation policy was only for 10 years after the independence, for upliftment of SC and ST but till now it is continue and no one has taken any step to amend it or revise it or to change it. The reason behind this is the population of SC and ST in country. Nearly 33% voting is done by SC and ST so now if they make any change in the reservation policy against the SC and ST then they have to suffer a lot for the same. So they are not taking any steps against the reservation policy. Correct. Reservation must not be caste based. Not be absolutely unlimited.